Steve Bailey: Who’d want to be a football manager?! The lifespan of a football manager gets less and less as each season goes by. The crazy hiring and firing policy by owners in the Championship has continued over the past week. So far this season, 13 managers in the division have been sacked – and one has left his job – with Derby County and Wigan Athletic both dismissing two bosses each. With the money that is on reward for promotion into the Premier League, it seems any manager whose team are not in contention to go up could lose their job. The top eight in the division all have the same manager they started the season with. No one can argue with the job Newcastle boss Rafa Benitez, Albion manager Chris Hughton and Huddersfield supremo David Wagner are doing, with the three sides batting it out for the two promotion places. In their first seasons in charge, Garry Monk, at Leeds, and Jaap Stam, at Reading, have both done outstanding jobs and Carlos Carvalhal has continued his excellent job from last season at Sheffield Wednesday. Slavisa Jokanovic has got Fulham playing the most attractive football in the Championship, again showing their attacking prowess with a 3-1 win at Newcastle on Saturday, while Simon Grayson has built a strong squad in his four years at Preston North End. Both could yet grab a play-off spot. Below that, only five clubs still have the same manager they started the season with – Barnsley, Brentford, Ipswich, Burton Albion and Bristol City. In the past week, three managers have lost their jobs. As poor as Derby were at Brighton on Friday evening, the decision to sack Steve McClaren, after only appointing him for a second time in October, made little sense. If he wasn’t the right man now, he probably wasn’t five months ago either. A run of six points from nine games proved his downfall, along with the lack of fight Derby showed at the Amex. 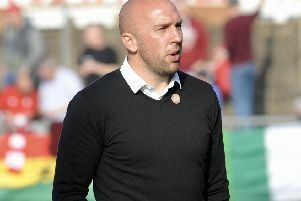 Warren Joyce, the highly-rated Manchester United under-21 coach, was given only four months and one transfer window at Wigan. Yes, they might have gone down this season in a competitive Championship but why not give him next sesaon to rebuild and, if the club were to get back up, they’d be all the stronger for it? Alex Neil, at Norwich, perhaps stayed longer at the Canaries than you’d have expected after they were relegated from the Premier League last season and just ninth in the Championship this campaign. With the squad they have got at Carrow Road – and pinching Alex Pritchard from under Albion’s noses – they would have been expecting a play-off place at the very least this season. With the way modern-day football is, his dismissal wasn’t overly surprising, although the timing – 6pm the day before a game – was a little odd. The stock of Gary Rowett, named the new Derby boss this week, only grew after he was sacked as Birmingham manager in December. The Blues were seventh in the table when he was dismissed, outside the play-off places only on goal difference. Under Gianfranco Zola, Birmingham have collected just ten points from 16 games and are only six points above the relegation zone with nine matches to play. If they end up going down, Rowett’s dismissal could be one the Blues regret for years to come.